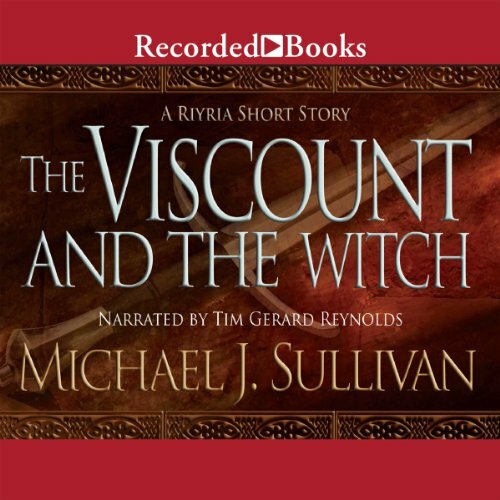 Please note: "The Viscount and the Witch" is Chapter 2 of The Rose and the Thorn, which is Book 2 in the series The Riyria Chronicles. this is now a chapter in the second book of the cronicles series. good short stort if you dont want to buy that one for some reason. I like that this story was not one that you needed to know the universe that the other stories were created in to enjoy it. I like the fact that it was a stand alone and you did not feel the need to have read the other books in the series to understand what was going on. I have read all three of the Riyria Revelations and they were all excellent fantasy. This short story is a part of the Riyria Chronicles which are the first three books in the Riyria adventures. Similar to Star Wars where the last three books/movies came out first. A little confusing. 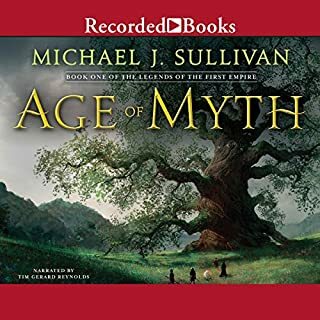 Anyway, this is the second chapter of the second book in the Riyria Chronicles, "The Rose and the Thorn" and what a great teaser, it made me jump right back into Michael Sullivan's wonderful, epic fantasy series. 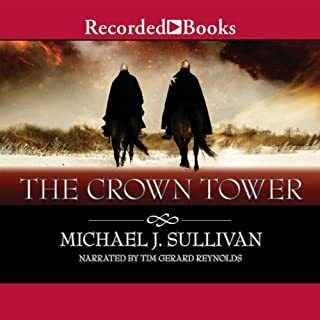 I surely miss the characters and Tim Gerard Reynolds's fantastic narration, so I'm onto, "The Crown Tower". If you like fantasy at all, or even if you don't, you will not be disappointed with any of these books. Highly recommend. The Viscount and the Witch. I liked how the author explained the order of the books before you listen. 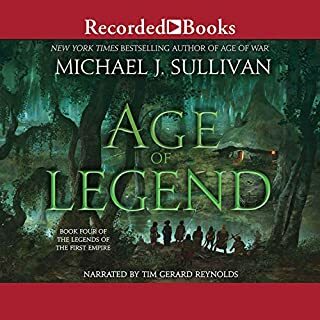 I enjoyed this story enough that I put the full length book in my wish list for when I'm ready for a new fantasy series. Also try Jester, it also is a free sample to enjoy by this author. Narrator is great. 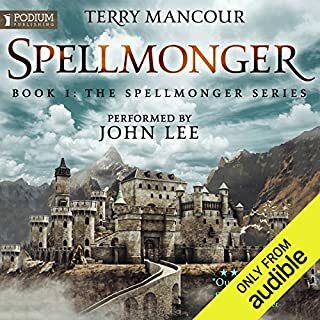 Thanks audible for the freebie. 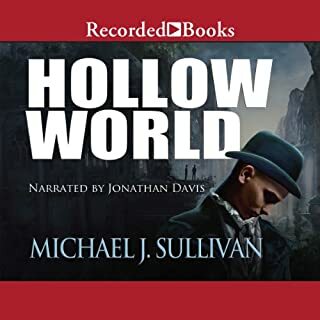 In the intro, MJS admits that he is not that great at writing short stories, but says he put more effort into this one having good character development and a good rounded story. He was correct and it was funny on top of that. If you don't know if you want to read the Chronicles, then start with this short story. If you like it I know you will like the books. I give this one an 'extra' star because once I did listen to it with attentiveness, I found it very ...uh, I hate to say it, "cute"... but that's what comes to mind. It was fun. And cute. But I tried many times to listen and about 9 out of 10 times, and I am only slightly exaggerating there, I found it a perfect antidote for insomnia. Finally I tried a listen while walking the dog. That worked...I was paying so much attention to the story I was nearly consumed by the most enormous porcupine I have ever encountered...it was the biggest of all the one porcupines I've ever been up close with, but fortunately I scared it as much as it startled me, and I was able to continue listening as I finished a more wary walk of the dog. My walk in the woods while listening was a perfect setting for the two Riyria characters who are accosted as they traverse "the woods" of their own world and encounter a prickly character themselves. Yeah, I still think it was a cute story. A nice short listen, but I needed focus to enjoy it at its best. Not a bad short story, but really something for fans of the series. Otherwise, just not that much there. Also, it appears as a chapter in another volume. Love this writer and narrator! This is a book to listen to in the car on the way to and from dropping the kids off. It's the type of story they'd listen to because there are swords and talk of fighting, rescue and danger. There are morals quietly lurking between the lines. It is also good for listening while driving into 'town'. You can end the commute with a short laugh and a smile. While this short story had no action scenes in it, it does seem to set up a future scene (which i assume will be in one of the books). 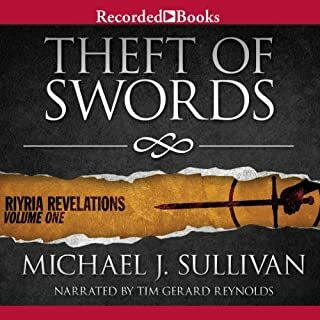 I have not read any of Michael Sullivan's novels, but I have just purchased Theft of Swords from Audible.